Bold green leaves speckled with grey coloured spots – this Begonia can be grown indoors or outside in a sheltered spot. 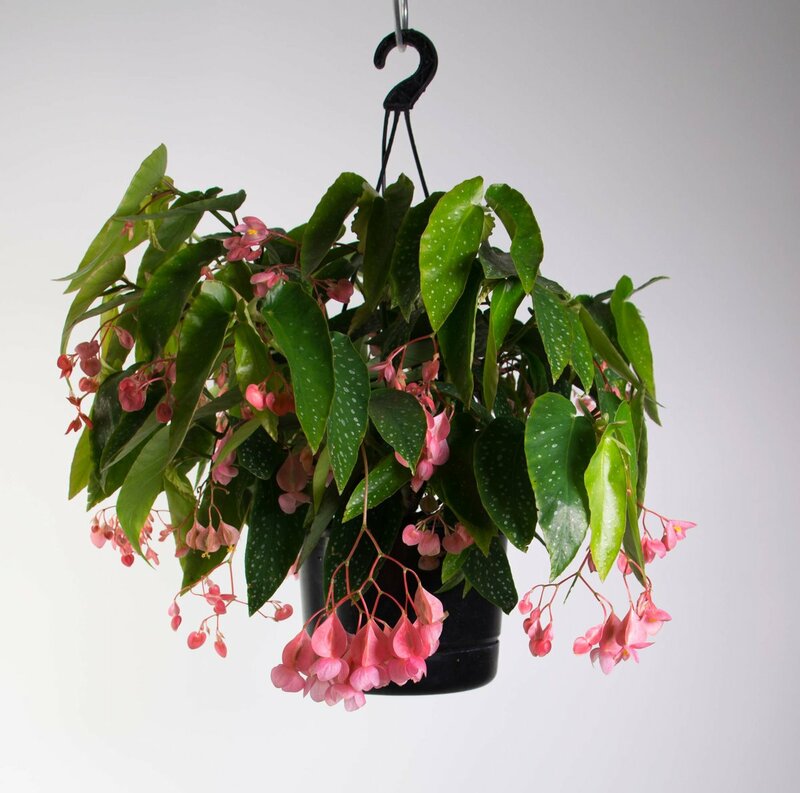 Begonia Rosea Picta is grown for its attractive foliage and pretty pendulous flowers. This plant likes bright indirect light. Ensure the plant is kept moist but not wet.